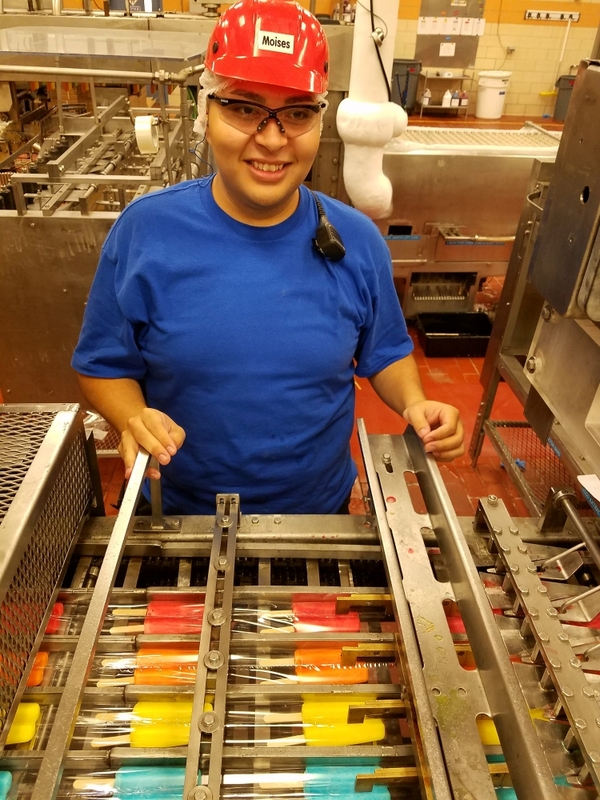 For Team Leader Moises Ramirez, working at Ziegenfelder truly is a family affair. His mother and brother also work at the plant in Denver. September marks 2 years that Moises has worked alongside his family making Budget Saver products. As a team lead, Moises is tasked with training fellow member of the Zieggy Tribe. He said right now, he has three experienced members on his crew. With that solid base, he’s working to build a more stable crew. Moises is motivated to be a good role model to his three neices and one nephew. They range in ages from 6 to 13. Often, Moises surprises them with their favorite Budget Saver treats, the Cherry Mango Monster Pops.